Are Oakland Schools Moving too Quickly on New Funding Plan? Interim Superintendent Gary Yee wants to overhaul the district’s system for providing money to schools, but some educators are worried it’s happening too fast. 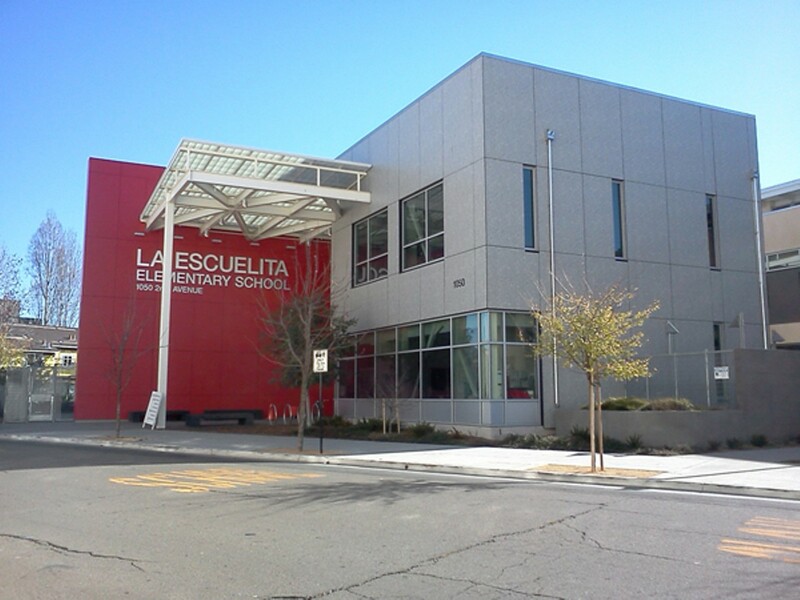 La Escuelita Elementary School in Eastlake is one of dozens of campuses that would be impacted by the proposed new funding plan. Oakland schools Interim Superintendent Gary Yee is pushing the school board to overhaul an innovative funding system that was designed to steer more money to schools in low-income areas of the city — but has failed to live up to its original ideals. Yee contends that the system, known as Results Based Budgeting (RBB), is overly — and unnecessarily — complicated and needs to be dismantled. And while supporters of his proposal are hailing it as a potential victory for civil rights, others fear that it could result in a giant step backward, and a return to failed policies of the past. The school board is scheduled to take up Yee's proposal on Wednesday night, January 15. Yee unveiled his plan on December 11, and put it on a fast-track so it could be implemented in the 2014-15 school year. However, because of the winter break, there has only been about three weeks of discussion about the planned changes. And the lack of public input worries some educators. "It's too much change too fast," said one Oakland school principal whom the Express has agreed to not name because the person fears possible retribution from the school district. "I don't want the implementation to turn out like the Obamacare website." RBB was implemented in 2004 by then-State Administrator Randy Ward, and it had two primary goals: to eliminate funding inequities in which wealthy hills schools received more money than flatlands schools, and to put decision-making power into the hands of principals and local school communities. But RBB has not worked as intended. Some schools still receive more money per student than others in the city — much like what occurred before the district adopted RBB. It's a hidden problem in California education that's not unique to Oakland. Typically, individual schools throughout the state receive funding based on the costs of employing their teachers rather than on how many students they serve. As a result, schools in low-income areas that have inexperienced teachers often receive less money to educate their students than schools in wealthy areas that employ veteran instructors with higher salaries. RBB attempted to fix this inequity by shifting to a student-based budgeting formula. Under the program, every school received the same amount of money per student, regardless of whether the school employed rookie or veteran teachers. For RBB to work, schools needed to have sufficient enrollment to cover the cost of their staff, and experienced teachers needed to be distributed evenly throughout the city so that they weren't concentrated at some schools — because those schools would no longer receive the funding necessary to maintain all-veteran staffs. RBB also decentralized power, giving authority over staffing to local schools. Principals, for example, could make decisions about class size and the number and type of support staff. The reformers who worked with Ward to implement RBB believed that the people closest to the kids would make the best decisions, and they hoped that principals would begin to feel "pride of ownership" in their schools, rather than as though they were cogs in a bureaucratic machine. But over the last decade, key assumptions about RBB failed to prove true. Because of demographic shifts and the rapid expansion of charter schools in Oakland, many traditional public schools no longer enroll enough students to generate the necessary funds to cover their basic personnel costs. Moreover, many experienced teachers remain concentrated in a few schools — primarily because of the teachers' union contract, which severely limits the ability of school principals and the district to move teachers around the city. In an attempt to address these problems, the district created a "balancing pool" in which schools that had enough money for operations put some funds into a common pot to be redistributed to schools without enough money. But as state funding for education plummeted, the list of schools receiving balancing pool funds grew. One-third of Oakland's schools now receive funds from the balancing pool, and the list spans the city from the East to the West and from the hills to the estuary. Principals of schools that are located in low-income neighborhoods and start each year in the red feel frustrated, and see this as a civil rights issue. "I feel that any balancing pool is like welfare," said Enomwoyi Booker, the principal of PLACE at Prescott Elementary School in West Oakland. "No school community should have to live in a system that requires some to beg for ... core staffing." Yee's proposal eliminates the balancing pool altogether, and instead uses a funding formula based on average teacher salaries. That is, two schools that both have twenty teachers would receive the same amount of funding — even if one of the schools actually has more students. Yee argues that such a staffing formula is necessary to provide a basic level of service to all Oakland schools. "I am recommending base service allocations (without regard for salary differences), because I want to hold the district responsible for base adequacy," he wrote in an email. Yee also wants to create a simpler budgeting process. "The current system in which every school budget is based on the actual salaries and benefits of their teachers is too complex," he added. "When the 1.5 percent raise was given to teachers this fall, every school budget had to be redone." Yee is also counting on extra funding from a new program pushed by Governor Jerry Brown, known as the Local Control Funding Formula (LCFF), which allocates more money to districts that serve large numbers of low-income students, English language learners, and children in foster care. Nearly 80 percent of Oakland's students fall into one of these categories. Under Yee's proposal, LCFF funds would be steered to schools in neighborhoods with high levels of stress — as measured by crime and asthma rates, the number of liquor stores, and proximity to a grocery store. But not all school site administrators are sanguine about Yee's plan. 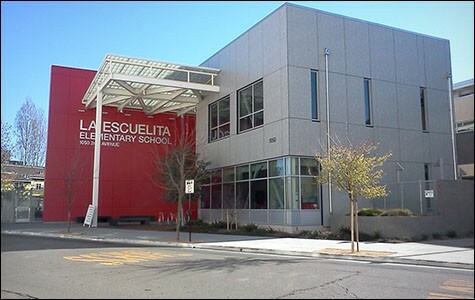 Preston Thomas, principal of Life Academy, a middle and high school in the Fruitvale district, said he is worried because his school stands to lose 1.5 teaching positions and $22,000 in discretionary funds under Yee's plan. "I'm meeting with my parents tomorrow. We're going to try to figure out where we would cut, and how that would impact our kids," he said. When former Superintendent Tony Smith told principals a few years ago that their schools needed to have at least four hundred students or they would be in danger of closing, Thomas came up with a plan to grow enrollment by adding the middle school grades. He now questions whether Yee's plan will create more equity, or just a new and different set of inequities. "Moving to a central staffing formula empowers central office," he said. "It changes the power dynamic of where decisions are made for schools, so that schools have less influence over their program." Booker, however, disagrees. "All of these funds allocated [under Yee's plan] will cover the discretionary needs of my site and give me more position control than in RBB," she wrote in an email. "Dr. Yee visited all of our principal meetings in December and he also explained that the central services that we need such as [school security officers, nurses, etc.] will be provided to us. We no longer have to rob Peter to pay Paul for these services to students." Yee also has tried to address concerns about school-site decision-making by proposing a system in which every full-time-equivalent employee would be worth a certain number of points. Principals would be able to use the points however they want. So a school that got points for a full-time vice principal, could decide to hire two part-time restorative justice workers instead. "I am absolutely in favor or continuing site discretion ...," he said. "Instructional decisions should drive strategic budgeting decisions." At the December 18 school board meeting, Director Jody London (North Oakland/Rockridge), cheered Yee's plan, saying, "We are finally dismantling the last vestige of state administration." But board President David Kakishiba takes issue with this characterization. "Results Based Budgeting is indigenous to Oakland," he wrote in email. "It is not a colonizing import from the Eli Broad Foundation or former State Superintendent Jack O'Connell." Kakishiba, in fact, can trace the roots of RBB to before state control. "Right before the state takeover, [then-board member] Dan Siegel and I introduced a board policy on school-based budgeting." Kakishiba has been unwilling to completely dismantle RBB, preferring instead to cap the central office budget at 12 percent of total general fund expenditures, and increase the amount of money going to schools. But he does favor moving to using average teacher salaries in the RBB funding formula in order to provide more money to schools with experienced teachers, especially for campuses in low-income areas. As for Thomas, he believes the process needs to slow down. "The data I've seen shows that whole regions come out losing both staff and money, but the public has not been able to look at systemwide impacts, and the numbers are changing almost every day," he said. "When you're going to make a change this big you need to have a very thorough conversation with the community before you do it, and this is happening awfully fast."